Put it all together, and it spells New England in capital letters: the mansions of Newport, RI, haunts of Salem, MA, and the rocky coastline of Maine (Rockland & Bar Harbor). Then New Hampshire and Vermont for fabulous foliage, White Mountain dinner train, Shelburne Museum. Head south to the Berkshires for final night and dinner in Norman Rockwell’s Stockbridge. Step-on guides included! Lunch with Little Red Riding Hood accents a journey north to the New Hampshire Lakes Region. Spend one night in Laconia, New Hampshire, and one night in Ogunquit, Maine, accompanied by a tour of Castle in the Clouds, a bountiful buffet lunch cruise, and unbeatable Maine coast scenery! Tour Acadia National Park with a guided tour, carriage ride, Maine lobster feast, and lobstering cruise. Meet the baby lobsters and listen to a lobserman's tales. See the "Olympics of the Forest," a re-enactment of the competitions of lumberjacks and loggers 100 years ago. Wend your way to the mid-coast for a guided tour of Camden & Rockport while taking in the picturesque view from the summit of Mt. Battie. Two nights in storied Portland, with a day trip to Boothbay Harbor for fun narrated boat and train rides. Tuck into the White Mountains for a lake cruise, leaf-peeping lunch excursion, and gourmet dinner train. 2 nights Portland, 2 nights Bar Harbor, 1 night Boothbay Harbor. Three guided tours: Kennebunkport, Portland, and Acadia National Park. Four evenings of live entertainment, two harbor cruises, a lighthouse tour, and visits to Maine Maritime Museum and the Coastal Maine Botanical Gardens. RANGELEY LAKES: Loons, Logs, Moosin’ and More! Settle in to the charming Rangeley Inn for three nights, cruise the pristine lake to hear the loon’s eerie cry, see the quaint log church, and learn about lumbering at the Forestry Museum. 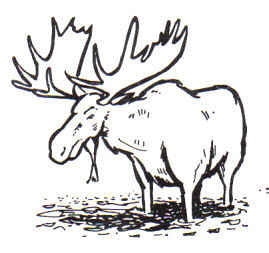 Go “moosin” with a local guide to spot the gentle giants, and pan for gold at one of Maine’s classic little canyons. Stay in the Pioneer Valley as a prelude to a sweep of the Boston area. Step back in time at Old Sturbridge Village, then follow the Freedom Trail to Boston Highlights like Lexington and Concord. Visit the JFK memorial, dump tea from the Tea Party replica ship, and cruise historic Boston Harbor. Salt air, sunsets, and summer breezes abound on this two night tour on the Boothbay Harbor waterfront. Includes boat and train rides, marvelous garden tour, and Carousel Music Theater performance. A New England foliage tour featuring Acadia National Park, gourmet dinner train, scenic lake cruise, mountain rides, nature cruise, lighthouses and lobster. Enjoy the beautiful vistas from the sea coast to the Mountains of Maine. View the scenic panoramas of the White Mountain range along with New Hampshire’s pristine Lake Region. One night south coast Maine, two nights Bar Harbor, Maine, two nights White Mountains of New Hampshire. Tour five outstanding Maine coast art museums, from Ogunquit's oceanfront gem to Rockland's Wyeth treasure trove. 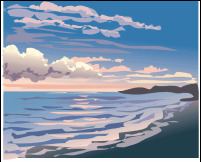 Based in the Portland area, the tour Includes a unique Maine craft class, a private visit to Winslow Homer's oceanfront studio in exclusive Prout's Neck, and sightseeing along Maine's picture-perfect coast! A Kennebunkport tour and a lobster feast fresh from the sea highlight your coastal Maine discoveries. Then a visit to Castle in the Clouds and a "Golden Pond" pontoon ride make the most of the New Hampshire Lake Region's breathtaking foliage. The autumn color trail continues into Vermont, where you will enjoy a night at a quiet lakeside retreat. This 2-night program can also be customized to include a variety of other peak week foliage stops. Celebrate the season in New Hampshire’s adorable old-fashioned seaport. Enjoy a holiday theater performance, guided city tour, Holiday stroll with carolers, and all the charm of colonial Strawbery Banke. One or two night options, including our favorite one-of-a-kind shops! Visit majestic beacons and hear the salty tales of Maine’s maritime history. Ride on a Maine lobster boat and see the Maine coast from atop Cadillac Mountain in Acadia National Park. Explore Kennebunkport and Bar Harbor, and enjoy a private lighthouse tour near Portland. Set sail on a summer breeze touring Boston Harbor, a New Hampshire lake, and the Maine coast. Ride the rails in two beautiful states! Tour the hillsides of Franconia and Bethlehem, New Hampshire when they're dotted with pink and purple lupine flowers! Spend the weekend in a mountain resort. View scenic panoramas and historic sights with a full day local guide. Tour the Robert Frost home, take in a night of live theater and ride the rails on the gourmet dinner train! A quick trip to mid-coast Maine, with a guided tour of the new Coastal Maine Botanical Gardens, sightseeing cruise and seacoast touring. Overnight at a classic waterfront property near the quaint harbor shops and famous footbridge. Visit the south coast of Maine for two nights. Enjoy guided tours, a cruise, and lobster. Two nights of spectacular White Mountain views from a gondola ride, lake cruise, and dinner train. Tuck in to your Bar Harbor hotel for a two or three night stay. 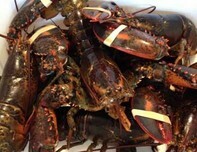 Tour famed Acadia National Park, feast on Maine lobster fresh from Frenchman's Bay. Take a whale watch or nature cruise on Frenchman’s Bay and see the baby lobsters raised at the Maine Lobster Museum, or enjoy a leisurely costume-guided walking tour. A midcoast favorite, this getaway includes a Downeast clambake adventure to Cabbage Island following a scenic tour of Boothbay Harbor. Visit the Coastal Maine Botanical Gardens, Boothbay Railway Village, and the storied Pemaquid Lighthouse. A coastal expedition from Bath to Camden, Maine. Home base is a waterfront hotel in picturesque Boothbay Harbor for three nights. A visit to Bath, the City of Ships, features a river cruise with scrumptious dining and shipyard views. Also included are a narrated boat ride and an old-fashioned train excursion in a quaint village setting. A full-day guided tour to Rockland and Camden offers an array of choices for the afternoon. Dinners include a Maine lobster choice and musical entertainment. Three nights in south coast Ogunquit with a choice of several cruises and guided tours. Two nights of great entertainment, including a show-stopping Broadway musical at Ogunquit Playhouse. Discover the mountains of Vermont’s Northeast Kingdom at Jay Peak Resort. 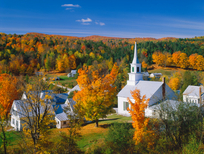 Full day touring Vermont with a peaceful lake cruise and Trapp Family Lodge history tour, then a full day guided tour to Old Montreal with Notre Dame, Olympic Village, and authentic French dinner. Discover the wondrous waterways of both northern New England and the Province of Quebec. 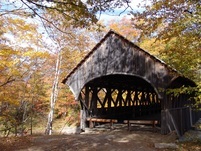 Walk across historic covered bridges and marvel at beautiful waterfalls and spectacular gorges. Atlantic adventure with full-time Canada guide. Two nights in Charlottetown, Prince Edward Island, and one night in St. John, New Brunswick, with Maine nights en route. Discover the astounding coastal scenery of PEI and Bay of Fundy National Parks, as well as charming St. Andrews-by-the-Sea. Toes will tap to Celtic songs and the heart-warming Anne of Green Gables musical. A marvelous maritime tour accompanied by a full time guide. Visit “Anne of Green Gables,” tour Prince Edward Island National Park, Hopewell Rocks, and see Bay of Fundy vistas. Campobello or St. Andrews are available options. Visit St. John, Hopewell Rocks, and the Bay of Fundy. Explore PEI's Green Gables, Cape Breton’s Cabot Trail, and Nova Scotia’s Evangeline Trail. Return to New Brunswick via ferry with your choice of St. Andrews, Campobello or Bar Harbor. * This tour can be customized with the addition of The Royal Nova Scotia International Tattoo's music and marching bands the first week of July. Take in the award-winning theater presentation at the Ogunquit Playhouse this afternoon, then continue on to Portland for an overnight stay and lobster dinner. Visit Longfellow’s boyhood home, followed by a narrated Portland Harbor cruise. Your choice of free time in Kennebunkport, Portland’s Old Port, or Freeport. Discover the roads less traveled as you wind your way “up Maine” along the spectacular color trail starting in Ogunquit, Maine. Enjoy the amenities of the Bethel Inn for two nights, then overnight in the White Mountains at Lincoln, NH, finishing at Lake Morey Resort in Eastern VT. Absorb local color with Maine Balsam Fir Factory and Moosin’ tours, The Rocks Estate maple sugaring program, a gourmet NH dinner train, and a Colonial Luncheon. ​FREEPORT SPARKLE & GARDENS AGLOW – WEEKEND TOUR! Ignite your seasonal spirit with this festive weekend trip to two of Maine’s top holiday attractions. Boothbay Harbor’s Lights celebration includes admission to the spectacular Gardens Aglow at acclaimed Coastal Maine Botanical Gardens. And Freeport’s fabulous Sparkle Parade is accompanied by a special craft program at Pineland Farms. 2 night stay in historic Brunswick, Maine. Get in the holiday spirit with Kennebunkport's annual Christmas Prelude celebration. Shop the boutiques and craft shows, ride an old-fashioned trolley through the woods, and warm your soul with wine and cheese by the crackling fireplace. 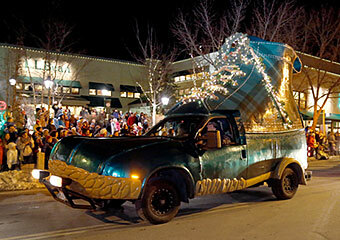 Outlet shopping and Ogunquit village festivities take place on the second weekend. Contact the Lobsterettes and book your dates today!